Indian gangsters under the camouflage of legalized security company have terrorized many Malaysians especially Chinese residents in Klang Valley to pay legalized protection fees. This is similar with Mafia tactic used in New York city where every household has to pay exorbitant garbage collection fees where a big portion is channeled into Mafia’s pocket. Mafia will murder any New Yorker who decline to pay illegal garbage collection fees. If a neighborhood refused to hire gangsters owned security company, the crime rate in the area would be skyrocketed high and houses of those who did not pay were frequently broken into. Klang Valley is literally the biggest prison in Malaysia. In the nutshell, Malaysia police under BN government have failed miserably to protect the safety of rakyat. Indian gangsters exploit the weakness of police to terrorize Malaysian Chinese for easy money. 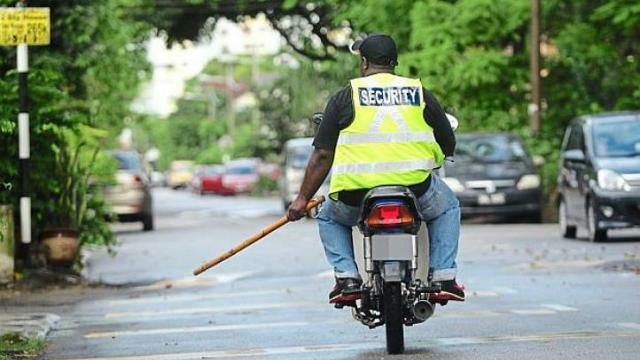 UALA LUMPUR (THE STAR/ASIA NEWS NETWORK) – Residents in guarded communities are being forced to pay protection money – to their security guards. Many of these guards are nothing more than gangsters who are legitimising their protection racket under the guise of providing security. Residents are effectively paying to protect themselves from those who stand guard. Even the Security Services Association of Malaysia (PPKKM) admits that many of its member companies are backed by gangs. Several residents associations (RAs) in Klang Valley are trapped with the gang-linked thugs or ex-convicts as guards. Office bearers of some RAs claimed they were forced to continue hiring these companies after being threatened that gangsters would cause problems if their services were terminated. There have also been cases of fights between rival groups vying for the security business. The most recent case involving a turf war among gangsters in Bandar Bukit Raja, Klang had left one security guard dead and six others injured. A representative of an RA, who spoke on condition of anonymity, said many associations were enticed by gang-linked companies because of the low rates. “They charge about RM4 (S$1.50) an hour. But later we find that these guys are not even trained. Some come to work drunk,” he said. Another RA committee member claimed that fights had broken out at her gated community’s guard post. An RA chairman said when his neighbourhood was being patrolled by a suspected gang-linked company, houses of those who did not pay were frequently broken into. A security industry veteran, who handles several RA contracts in the Klang Valley, said his clients found it difficult to get rid of gang-linked guards. “One RA asked me to take over from a gang but I declined. No one dares to take over from a gang, it is something we don’t want to get involved in,” he said. He said gang-patrolled neighbourhoods were on the rise in Klang, Rawang and some parts of Subang Jaya and Lembah Subang, with about RM2,000 from each housing area. “If they control many areas, the profits are big. That’s why gangs expand their territories and end up clashing with rivals for control,” he added. He said there was no certain way for an RA to check if a company had underworld backing or not, as most are operated under the licences of bigger security companies. Community Policing Malaysia (CP) founder Kuan Chee Heng said RAs should vet potential security providers with the police to avoid paying protection money to the gangs.